I spent years trying to find the right systems monitoring tool. Most were too expensive or too complex to set up. Several years ago I came across Pulseway and all my problems were solved in an affordable hosted solution. System patching is a breeze with Pulseway. Great product! Makes my job 100 times easier. It has cut down critical downtime with our industrial applications by monitoring specific processes and alerting me to them stopping. Most times I'm fixing the problem before it's becomes known on the shop floor. And when things break during the night I'm alerted and fix them remotely before anybody gets to work. This is one of the best monitoring applications I have come across in my 13 years of network and server administration. They constantly add new features and their support and assistance has always been top notch. Windows, Linux and Mac systems as well as .NET and Java applications. Get real time status, system resources, logged in users, network performance, Windows updates, IIS, SQL Server, Exchange, Active Directory, VMware, Hyper-V and SNMP enabled devices - just to name a few. With the Cloud API you can monitor and control all your Cloud app/service instances. It's easy to integrate, you will need to write just a few lines of code for the cloud instance to appear in your list of monitored systems. Encrypted communication and mobile device authorization ensures that your private infrastructure information stays private and unauthorised access is prevented. Get notified when a user locks out of his account so you can investigate and resolve security issues in no time. 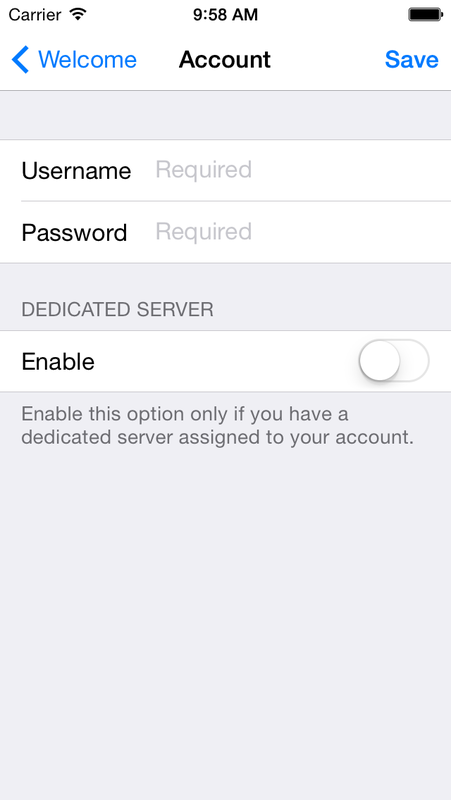 You can enable, disable and reset an account password as well as manage user groups. All of these on the go so your users don't wait on you to arrive in the office. View mailbox statistics and MAPI connectivity. Manage mailbox protocols and GAL visibility. Check each role services health and manage active queues. All of these from your smartphone. Receive notifications for any alert or warning, check the real-time health status of all the monitored systems, execute tasks and track their output. This server module offers a mobile dashboard for SCOM. Be in control of your virtual machines. View running status, health state and heartbeat as well as starting, pausing and stopping virtual machines. Improve your web sites availability with proactive alerting when a web site or application pool is down. You can also start, stop and restart web sites and recycle application pools. Manage all your virtual machines and hosts in your datacenters. 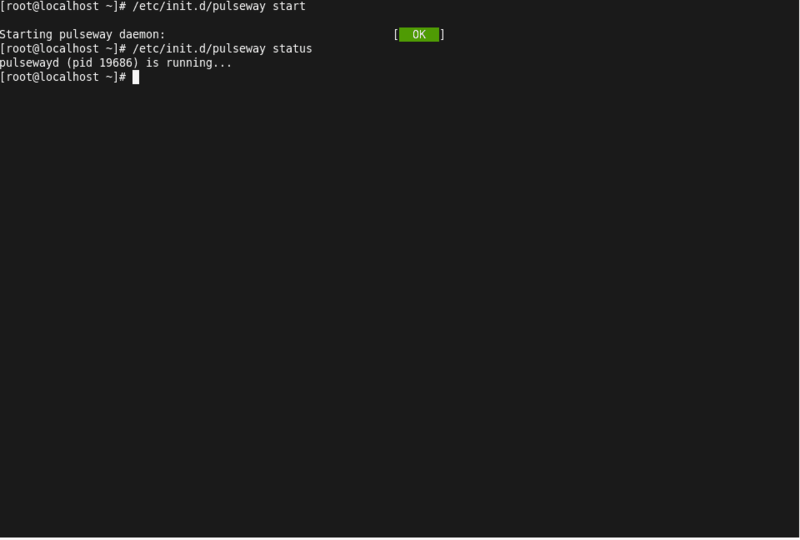 View running status, health state and heartbeat as well as starting, pausing and stopping virtual machines and hosts. Monitor databases, browse tables, run SQL queries, start jobs and view logs. All in one simple to use but very powerful module. Monitor all the backups and receive notifications when a backup operation succeeds or fails. Manage all XenServer virtual machines and hosts. Use the group deployment and configuration policies to distribute and configure the monitoring software on all your systems. It's that simple. Pulseway has the technical know-how and global reach to ensure that your computers and networks function reliably and seamlessly no matter where they are. Pulseway Enterprise Server is a flexible and highly scalable IT monitoring and management solution that can be hosted on premises or in the Cloud. Designed for mid-sized and large IT Departments, the Enterprise Server makes it easier to monitor any critical systems and applications regardless of their location using a single server licence. It reduces the overall cost of IT management while freeing IT Administrators from their desk. The Enterprise Server is used by large enterprises including DELL, Louis Vuitton, Northwestern University, Conde Nast and British Columbia Institute of Technology. A single server instance can support up to 100,000 computers and applications while still providing a very fast response time for every request or command issued. IIS, Active Directory, Exchange, SQL Server, Hyper-V, VMware, Windows Server Backup, Azure, Amazon, XenServer and SNMP server modules are included. The communication between the server and all the monitored systems and mobile devices is encrypted and the only port that needs to be opened in the firewall is 443 (HTTPS). No matter where the monitored systems are located across the globe, one server licence will cover all of them. By using multiple user accounts the IT team has the ability to share the monitoring and management of critical systems between the team members. Data access and any commands issued from the monitoring devices can be logged providing you with a full audit log. All the information exchanged between the server and the monitored systems is contained within your organization. Cloud, Server and Admin API's are available giving you even greater control and flexibility over the Enterprise Server and monitored systems. Get up and running monitoring your systems in minutes using the agent group deployment and configuration policies. "It took very little time and we were up and running. Now we manage most of our everyday tasks from our smartphones. The best part is that Pulseway alerts us to any issues before users even notice any slow-downs. User satisfaction has gone up, our workload has gone down and the total price tag has been almost negligible." // Eugene Chan, Deputy Director Digital Services. "Now that we have been using Pulseway for a few months, our clients are enjoying improvements in support response, infrastructure control and management. This is because Pulseway is a real anywhere anytime solution." // Pieter Plas, Technical manager. "When I tried Pulseway it took the monitoring burden off my shoulders. While I was satisfied with the notifications sent to my mobile phone I was blown away by the features Pulseway provided. It not only monitored server uptime but provided a plethora of statistics and actionable items. Within minutes I went from not only finding out about systems issues but having the ability to fix those issues from my smartphone." // Brian Heersink, System Administrator. "They immediately see the value in it – not from a 'wow, that's an amazing tool' point of view, but because they know that their environment is being closely watched. In fact, we're able to pick up and resolve problems long before they have any impact on business. That really impresses our clients." // Austin Ellis, Director Global PC Ltd.
"The features and the application updates/enhancements that the Pulseway team has put out in the last year have been smooth and beneficial" // Joshua Berry, Network Administrator. Remotely monitor and control systems and applications with Pulseway RESTful API. Display key runtime parameters, stats and use Web Hooks to interact with the monitored instances in real time. Send notifications when runtime parameters are out of bounds, errors occur or on any other events worth knowing about. Start managing embedded systems, websites, applications, backup scripts and more using any programming or scripting language there is. using our Client API / Plugins. Pulseway Cloud API is a headless client that gets implemented directly into the application. This way you can monitor, manage and control your application instances from wherever you are. Ever wondered how many products you’ve sold this month, how many active users you have connected to your application server or what are the current values of some sensors from a I/O Board? With our Cloud API you can do this and more! It’s only limit is your imagination. Let’s consider you want to manage and monitor some data from your current accounting application from your mobile device. All that stands between your application and mobile device is a plugin to read send data to your mobile device. Let’s start by writing a plugin which shows you the current date and time from the plugin host. Launch Visual Studio then create a new C# or VB project using the "Class Library" template with the name "SimplePlugin". See Figure A. From solution explorer rename "Class1.cs" to "SimplePlugin.cs" and open it. Now we need to add a project reference to our PulsewayClient.dll file which is located in the directory of Pulseway.See Figure B. At this moment we start writing the code that will identify our plugin. After the class opening bracket you need to add a new line in order to write code inside the class and add the following code that will be used by Pulseway Manager to show it’s user the name and description of the plugin. The text between the brackets can be changed to match your plugin name and description. Now only one thing remains to be implemented, the part where we tell our Mobile Pulseway what to show to clients. We do this by adding the following code under the other two (Order doesn’t matter). Don’t worry, it’s actually not as complicated as it seems. As you can see from the method (function) declaration we have to return a Groups type back to Mobile PC Monitor which is actually a container of containers. A "Groups" type can have many "Group" containers which can have many "SimpleItem" / "CommandItem" / "PageItem". See Figure C.
All the text after double ("//") or triple slashes ("///") is completely optional and its reason is for code comments. Now go ahead and press the "F6" button on your keyboard and Visual Studio will build your plugin into a dll file. Now browse to your project’s folder, go inside the "bin" folder, then inside "Debug" you will find "SimplePlugin.dll". This file represents the plugin you just made and you need to install it into Pulseway for it to work. Click "Add" and browse to your plugin’s directory and double click the dll file (The one that matches the plugin’s name not PulsewayClient.dll). See Figure D.
GetPluginDescription’s main purpose is pretty straight forward; it shows to the user a short descriptive text that represents the main functionality of your plugin. In order to save plugin’s data we can implement our own methods or use "SetValueForKey" which creates a registry entry with the name specified in the "Key" parameter and our value safely encrypted. In order to use API’s "GetValueForKey" and "SetValueForKey" we need to pass our plugin reference to the configuration form. After one notification is sent you can send another one only after the first one is deleted using a client application. CanSendNotifications is a Boolean field that lets you know if you can send a notification (If false it means that there is a notification sent by this plugin that wasn’t deleted from the client application. Let’s start by writing a plugin which shows you the current date and time from the plugin host. You can use your favourite IDE, but for this example we will use Eclipse. Launch Eclipse then create a new Java project with the name "SimplePlugin". See Figure A. Press Next then using Add External JARs ... button add the pulseway-client.jar file located in the plugin directory at the pulseway installation location. See Figure B. Create a new java class named "com.pulseway.demo.SimplePlugin" making sure that you use "com.mmsoftdesign.client.ClientPluginImpl" as Superclass. See Figure C. After clicking finish the class should be opened automatically. Now we can start writing our plugin. Let’s open "SimplePlugin.java" (if it’s not already opened) and add the code that will identify our plugin. Make sure you add code so Pulseway Manager shows it's users the name and description of the plugin. The text between the brackets can be changed to match your plugin name and description. Now only one thing remains to be implemented, the part where we tell our Pulseway what to show to clients. We do this by adding the following code under the other two (Order doesn’t matter). Don’t worry, it’s actually not as complicated as it seems. As you can see from the method (function) declaration we have to return a Groups type back to Mobile PC Monitor which is actually a container of containers. A "Groups" type can have many "Group" containers which can have many "SimpleItem" / "CommandItem" / "PageItem". See Figure D.
All the text after double ("//") or between ("/* */") is completely optional and its reason is for code comments. Now go ahead and right click on the project in the package explorer and choose Export ... . In the dialog that opens select JAR file then press Next to go to the JAR File Specifications dialog. Here fill in the desire path and name of the new jar and choose Finish. 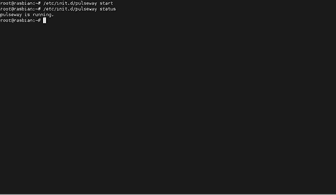 This file represents the plugin you just made and you need to install it into Pulseway for it to work. 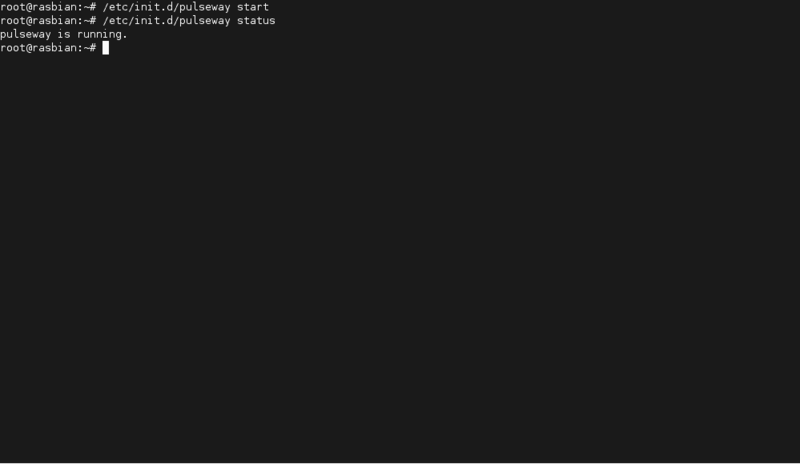 Open Pulseway Manager by running: sudo ./bin/pulseway-manager from Pulseway install directory. Browse to "Plugins" tab. See Figure E.
Click "Add" and browse to were you've exported the newly created jar and double click the jar file (The one that matches the plugin’s name). See Figure E.
Save your changes by pressing "Save" then choose to restart Pulseway daemon. In order to save plugin’s data we can implement our own methods or use "setValueForKey" which saves an entry with the name specified in the "key" parameter and our value safely encrypted. getValueForKey is used to get a previously stored value using "setValueForKey". This reads the value, decrypts it and returns it in clear text. If your plugin requires a configuration in order to work then the best approach is having a dialog (a JDialog in our case) which can handle the plugin configuration. This JDialog gets created when the user clicks the "Configure" button inside the "Plugins" tab from Pulseway Manager. canSendNotifications is a boolean method that lets you know if you can send a notification (If false it means that there is a notification sent by this plugin that wasn’t deleted from the client application. If your plugin has to send a notification and you canSendNotifications() returns false then you need to use a Queue (Or any other collection) to store unsent notifications and when we get the signal that we can send a new notification to send the next one on our list. boolean isInMaintenanceMode(): If true than Maintenance Mode is enabled (that means that all notifications will not be sent). 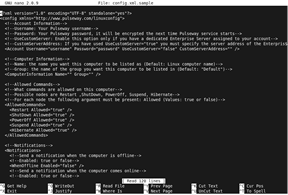 String getName(): The name of the computer that was set in Pulseway Manager. String getGroup(): The group of the computer that was set in Pulseway Manager. onPageCommandReceived is not the same thing with onCommandReceived. All CommandItems that are triggered from inside a PageItem will trigger onPageCommandReceived and all CommandItems that are called from the getAdditionalComputerDetails will trigger onCommandReceived. 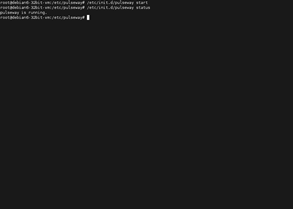 Method used for debugging purposes.When called the logMessage text will be written in the log file. on how to install and use our solution. How do I start using Pulseway? This Quick Guide will help you set up your account and start monitoring your computers. You can monitor up to 5 systems for free for personal use only (out of which only one can be a server OS). If you want to monitor more systems sign in to your Account to get a new subscription or to upgrade/renew an existing subscription. For large and mid-sized IT Departments that require a high level of flexibility and scalability we have designed Pulseway Enterprise Server that can be hosted inside your organization. Pulseway community forum keeps you informed and connected with the latest news about our product. MMSOFT Design was founded in Dublin, Ireland in 2011 and is a specialist provider of remote monitoring and management solutions. Pulseway is the easiest way to remotely monitor and control IT systems from any smartphone or tablet enabling busy IT admins to fix issues on-the-go and be more productive. The solution was launched at the end of 2010 and it has over 275,000 IT users around the world. Pulseway Enterprise Server is used by large enterprises including DELL, Louis Vuitton, Northwestern University, Conde Nast and British Columbia Institute of Technology. Keep a vigilant eye on Microsoft Exchange services and replication health. Monitor critical server health indicators to ensure service availablity. You have an application you want to monitor? All you need to do is add a reference to the Pulseway Cloud API dll file: PulsewayCloud.dll and add two lines of code in your application, it’s that easy! The last parameter in the "Configure" method represents offline notification switch. If it’s set to true you will receive a notification when the instance goes offline. Now we need to add: using MM.Monitor.Cloud; Right under the last using statement. Now we can start implementing the Cloud API. Just like a plugin, Cloud API requires unique identifications (ID) for each PageItem and CommandItem so let's start by adding them as constants right below the ClientList The two PickListItems represent a container with Client and Book names that will be used with the PickListInput. The reason why our page ids start from 91 is because other page id’s from 1 to 50 will represent the current order id for easier access. A noticeable difference between Cloud API and a plugin is that Cloud API uses events rather than invoking methods; however this doesn’t make it more difficult to work with. We need to subscribe to API’s events and the best place to do it is in the class constructor. This event gets triggered when a client requests the "Groups" container that contains your dataSee Figure B. This is a perfect place for a main menu where you can add "PageItems" that lead to Lists of items, detailed pages or commands, "CommandItems" that usually affect important parts of your application and "SimpleItems" that display important parameters of your application. 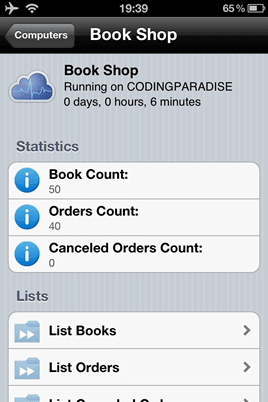 In our example we will display the total amount of books in our inventory, total orders and how many canceled orders. Then we 3 pages which represent lists of books, current orders and canceled orders. 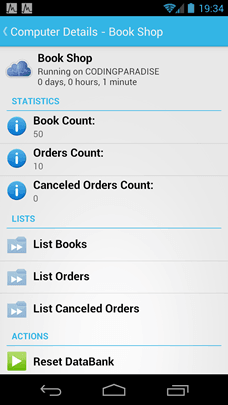 Finally we want to add a button that will delete all books, and orders and regenerate all the data. SetPageDetails is required to send "Groups" container back to the client. Don’t forget to add it! As you can see we check if pageId belongs to one of our list pages and if not we will assume it’s an Order. Just like a plugin Cloud API has two Command handlers, one of a Page Command for a root level Command (Commands that originated from "OnDetailsRequest"). In our case we only got one root level command, Clear Data. If anything unusual happens with Cloud API will report to our instance so that logging and apropiate actions can occur. In our case we host our application inside a Console Application and we only print it to the screen. System Center Operations Manager Manage Microsoft System Center Operations Manager from your smartphone or tablet, anywhere, anytime. System Center Operations Manager server module offers a mobile dashboard for SCOM. This server module can easily be integrated with any infrastructure without the need of complicated configurations or changes to the existing deployment. Take control of your virtual infrastructure using your smartphone or tablet, anywhere, anytime. Hyper-V server module mobilizes Microsoft Hyper-V management tools allowing the IT department to quickly take action without the need of a computer. Pulseway monitors the replication health of all replicating virtual machines and notifies if anything goes out of normal parameters. View real-time replication status with color-coded health indicators. Hyper-V management has never been easier; Open the app and get an eagle’s eye view on your virtualized environment. One tap on a virtual machine shows real-time metrics such as Health state State and Uptime. Are you in front of your desk and you notice that your virtual workstation is not responding? 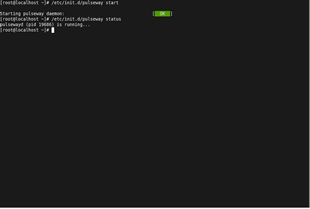 Send Pause, Reset, Turn Off and Shut Down commands to virtual machines and watch them execute. You receive a notification from Pulseway that a virtual machine has failed over to another node, you fix the problem with the faulty node but you need to commit the failover and reverse the replication back to the original node. Pulseway can send replication commands like Initiate Failover, Create Test Replica System, Reverse Replication Direction and Commit/Reverse Replication. Watch virtual machine’s screen in real-time and stop Bluescreens, inactivity and potential corporate policy breaches all from your smartphone or tablet. Now you can see when backup operations finish and you can remotely shut down the virtual machines without the need of your laptop. You have an application you want to monitor? All you need to do is add a reference to the Pulseway Cloud API jar file: pulseway-cloud.jar and add two lines of code in your application, it’s that easy! 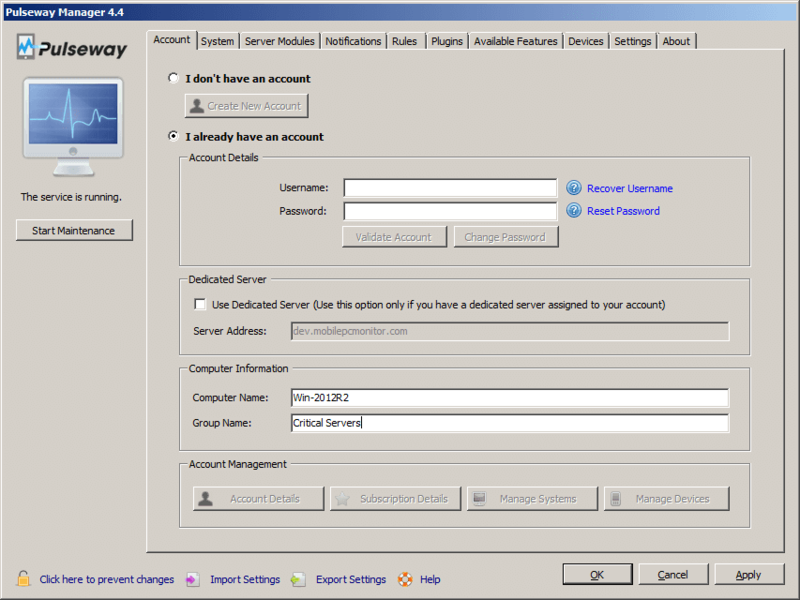 First we need to add a reference to PulsewayCloud.dll which can be downloaded from here. Now we can start implementing the Cloud API. Just like a plugin, Cloud API requires unique identifications (ID) for each PageItem and CommandItem so let’s start by adding them as constants right below the ClientList. Monitor VMware vSphere infrastructure from your smartphone or tablet, anywhere, anytime. VMware vSphere server module gives you an insight at-a-glance over realtime status of hypervisors and virtual machines. Wether you are monitoring 10 hypervisors or a thousand VMware Server Module performs great on enterprise class deployments. Connect to the full vSphere solution or only standalone ESXi hypervisors. Get your virtual cloud monitored securely without firewall rules, expensive VPN connections or complicated proxies. Plug Pulseway and you are managing your vSphere solution in no time. Reverting to snapshot state or creating new snapshots has never been easier. Quickly backup system state from anywhere, anytime. Be first to know when a vCenter alarm gets triggered so you can quickly take action. Alarms are the first sign of performance degradation and a timely notification means faster resolution. Check realtime status and resource usages right to promply identify performance issues. Whenever required you can logoff, restart and shutdown the guest operating system or reboot and poweroff the virtual machine. Watch virtual machine live console feed to notice system errors, prompt dialogs and user activity. Take control of your ESXi hypervisors by performing maintenance tasks: Restart, Shutdown, Power On and Maintenance Mode Switches are possible. Browse through datacenters, clusters, hypervisors and virtual machines or use the Search feature to quickly find the managed system you are looking for. View system logs in realtime to see if maintenance tasks have finished and easily notice any system errors before they lead to a system failure. Go to My Account and sign up for Pulseway. The registration process is quick and easy and will not take more than five minutes. 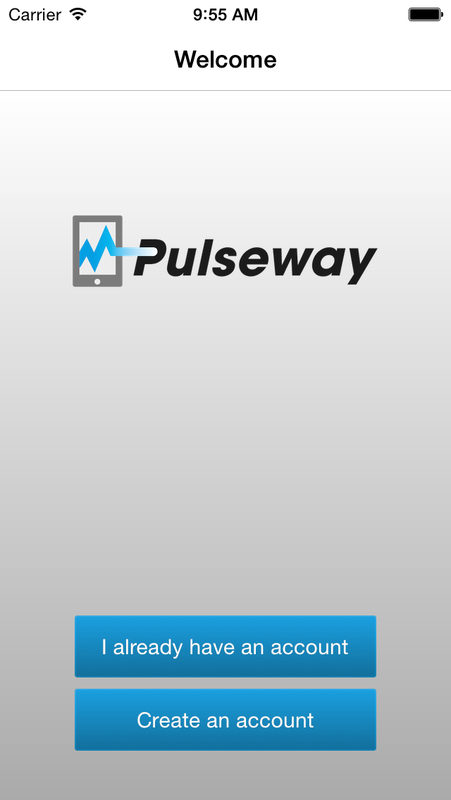 Install the Pulseway app from the Apple AppStore. After starting the Pulseway app enter your account credentials and press the "Save" button to validate and save your account details. 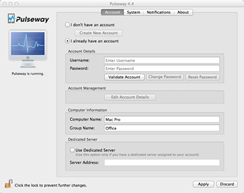 Download the appropriate version for your system: Pulseway for Windows x64 (64 bit) or Pulseway for Windows x86 (32 bit). After you have downloaded the installer, follow the instructions in the setup screen and the Pulseway will ask you for your account credentials. Complete the account details and press the "Validate Account" button to validate them. Click on the "OK" button to save the configuration and select "Yes" when prompted to start the Pulseway service. Note: Make sure to replace Username="username" and Password="password" with your actual username and password. 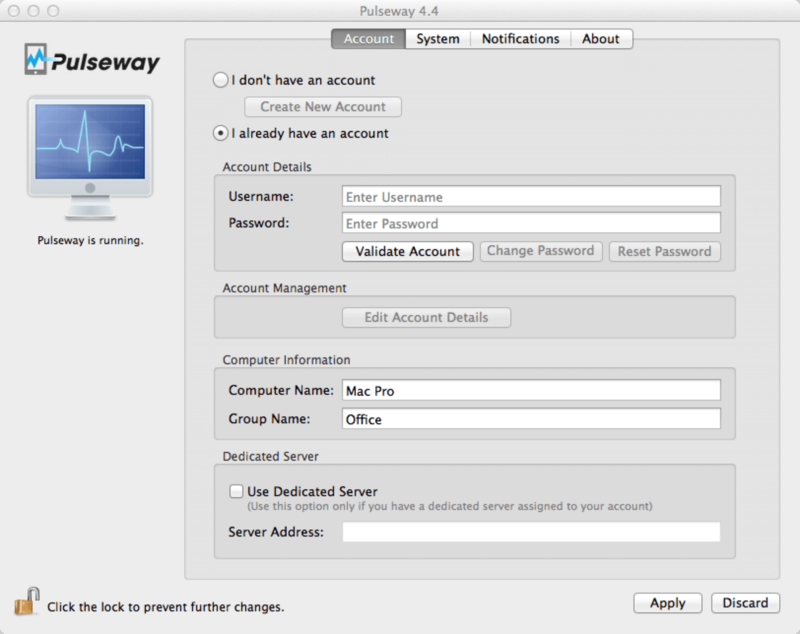 To install Pulseway on a Mac operating system download and open the Pulseway for Mac. Drag the Pulseway application from the left into the Applications folder (the icon on the right). You will be prompted to enter your password to authorize the installation. Start the Pulseway agent then click the lock icon to enable configuration changes, type in your account credentials and click on the"Validate Account" to validate your account details then press "Apply" to save the configuration. The number of systems that can be monitored. The number of user accounts available. Maximum number of notifications allowed per day. Number of mobile devices allowed for each user account. Monitor and manage ESET clients, get notified when threats are detected, execute scans and updates. Each user account has one concurrent remote control session available. Use the dashboard application for a complete view of all your systems health and availability. A web based application is also available with support for all major web browsers. 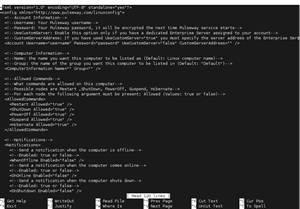 Run commands in terminal / PowerShell. View the screen for each user session. Chat with the users logged in on the computer. Allows users to send requests to their administrators as notifications. Monitor all the backups and receive notifications when a backup operation succeeds or fails. This module works on Windows Server 2008 R2 or higher. Improve your web sites availability with proactive alerting when a web site or application pool is down. Receive notifications for any alert or warning, check the real-time health status of all the monitored systems, execute tasks and track their output. View mailbox statistics and MAPI connectivity, manage mailbox protocols and GAL visibility, check each role services health and manage active queues. Manage user accounts with ease and fast-fix common issues. Manage all your XenServer virtual machines and hosts. Monitor databases, browse tables, run SQL queries, start jobs and view logs. 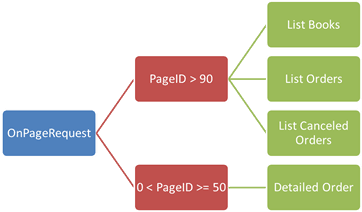 Receive notifications on deadlocks, long execution queries or when any defined query result matches certain conditions. Monitor SNMP agent variables and receive notifications on various value conditions. Start, stop or terminate instances in EC2. Also, receive notifications on triggered alarms. Start, stop or delete virtual machine instances. CPU usage, memory usage and disk space on the monitored systems as well as uptime, inventory reports including audit, IPv4, IPv6, total memory and installed software. Monitored computers and applications can be shared between multiple user accounts (read-only or full access).